The College of Arts and Sciences' recognized its outstanding faculty researchers: Cheri Simonds, School of Communication; Amy Wood, Department of History; and Nerida Ellerton, Department of Mathematics. Illinois State’s top faculty researchers have made major impacts in their fields of study nationally and internationally. The University’s colleges recognize these scholars annually through the Outstanding College Researcher Award. Five of the University’s six colleges handed out the award this year and in some cases recognized multiple faculty members for their scholarly work. The University will honor its top university researcher February 18, during the Founders Day Convocation. Kelly Laurson, associate professor, School of Kinesiology and Recreation (tenured category)—Laurson has played a key role in developing a novel approach to health and disease assessment in children. He has worked with The Cooper Institute and FITNESSGRAM to develop new body composition and aerobic capacity standards. Such standards are used in physical education classes, pediatric clinics, and by pediatric researchers to evaluate the fitness and subsequent health of children and adolescents. This work resulted in a supplement published in the American Journal of Preventive Medicine. These standards are now used in nearly every youth fitness test conducted in the United States. His team conducted a nationwide fitness survey to create an international fitness test that was funded for over $650,000. Results of the project have been shared at multiple international conferences and were published in a supplement issue in Research Quarterly for Exercise and Sport in 2015. Pranshoo Solanki, assistant professor, Department of Technology (pre-tenure category)—Solanki has demonstrated a strong record of scholarly activity in the area of industrial byproducts and recycled materials in construction, topics of national and international importance as growing demand and limited resources are increasing interest in sustainable construction materials and methods. 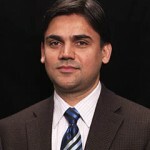 Since joining Illinois State in 2011, Solanki has published three book chapters, 24 peer-reviewed journal articles, and 31 conference proceeding articles. 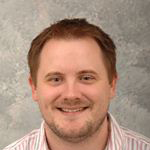 One of his research articles received the Russell Ackoff Award for Best Paper at the 30th International Conference on Solid Waste Technology and Management. 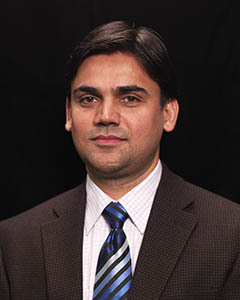 Solanki serves as technical reviewer for several journals and received the American Society of Civil Engineers’ Outstanding Reviewer Certificate in April 2015. Solanki is also serving on the Cementitious Stabilization Committee for the Transportation Research Board of the National Academies. Nerida Ellerton, professor, Department of Mathematics—Ellerton has gained international acclaim for her work on the history of school mathematics. She has published 18 books and had 139 peer-reviewed journal articles or chapters in books. Five of her books have been published by Springer in the past three years. She was editor of the Mathematics Education Research Journal for four years and has been associate editor of the Journal for Research in Mathematics Education since 2011. She delivered invited keynote addresses at Oxford University in 2014 and 2015. Cheri Simonds, professor, School of Communication—Simonds has demonstrated a commitment to instructional communication and communication pedagogy scholarship. 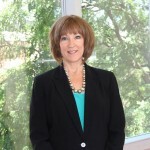 Her work has been published in multiple journals, and she is the author of several textbooks related to public speaking and instructional communication. 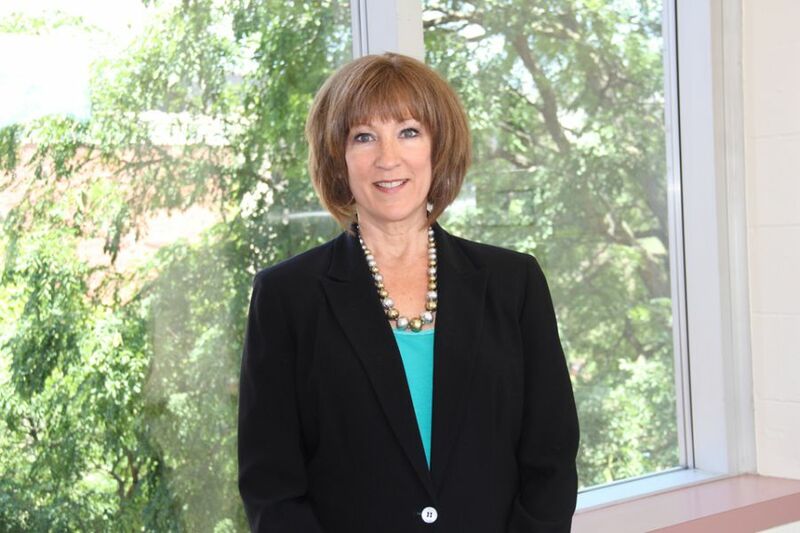 Simonds recently completed her term as editor of Communication Teacher, and she also recently chaired a task force for the National Communication Association to examine ways to promote the basic communication course on campuses across the country. Amy Wood, associate professor, Department of History—Wood is a nationally and internationally respected authority and prolific scholar in the field of the history of violence in the post-Civil War United States. Her 2009 monograph, Lynching and Spectacle: Witnessing Racial Violence in America, 1890-1940, received widespread acclaim. She has delivered numerous peer-reviewed conference presentations, as well as invited talks. She is working on her next monograph, which is about the idea of the criminal in the late-19th and early 20th centuries. 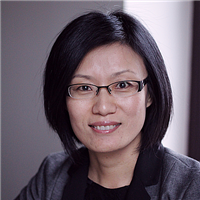 Yongmei Liu, associate professor, Department of Management and Quantitative Methods—Liu has conducted pioneering research on the topic of emotion in organizations for over 15 years. In 2011 and 2014, Liu was part of a group of researchers who obtained two major grants from the National Natural Science Foundation of China to conduct empirical research on emotional labor. Her current research interests include the study of interpersonal dynamics at work. In the past five years, she has published 14 refereed journal articles and one book chapter, and has made 14 presentations at national and international academic conferences. Her research has been cited more than 2,000 times. Karyl Carlson, director of Choral Activities, School of Music—Carlson conducts Illinois State’s Concert Choir and Madrigal Singers, and teaches graduate conducting. 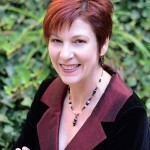 She has conducted numerous standard orchestral/choral major works as well as smaller contemporary chamber and choral works, and Broadway musicals. In 2005 she conducted the world premiere of the opera Where the Cross Is Made by Nancy Van de Vate. Carlson was invited to conduct at the International Bach Festival in Toronto, Canada, in a masterclass with world-renowned Bach expert Helmuth Rilling. 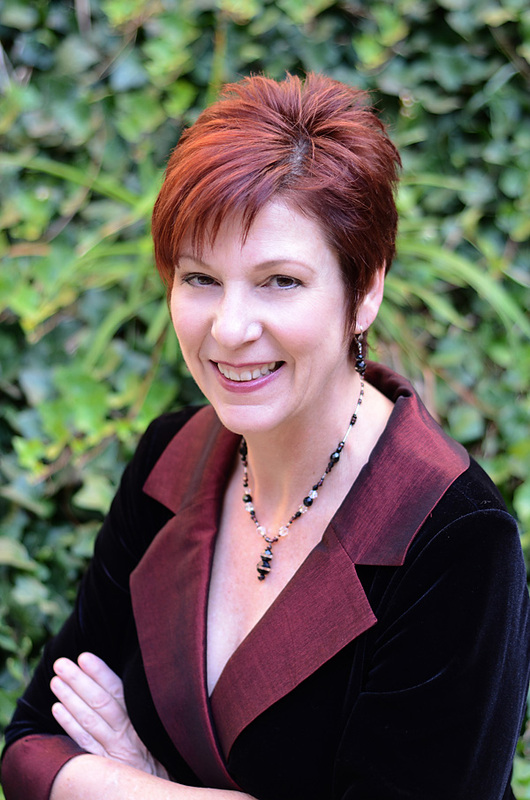 Additionally, Carlson is an accomplished pianist and soprano soloist. For many years she sang and recorded in ensembles with the late Robert Shaw in France and at Carnegie Hall. Sara Semonis, head of dance area and artistic director of dance theatre, School of Theatre and Dance—Semonis’ choreography has been recognized and selected for Gala Performance at American College Dance Festivals five times. She has received the Choreography Award at the National Choreography Conference for Regional Dance America. Semonis has created over 40 original works that have been performed throughout the U.S. and held residencies/master classes at several universities and colleges. She recently performed with Charlotte Adams and Dancers at the Joyce SoHo in New York and the David Berkey Retrospective Concert in Iowa City, Iowa, and is in her sixth season with the Shelter Repertory Dance Theatre. 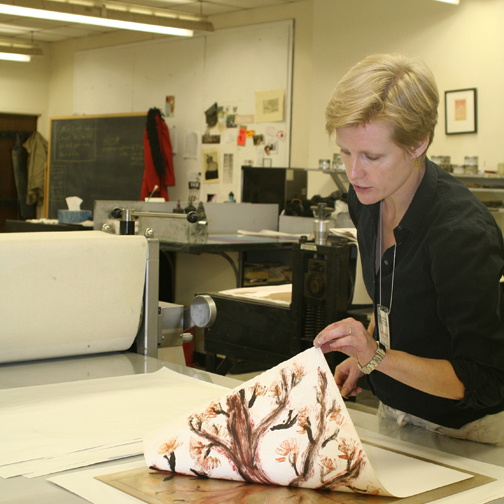 Sarah Smelser, professor, School of Art—Smelser, a printmaking professor, is a co-founder of Manneken Press in Bloomington and maintains a healthy exhibition record, showing most notably at Kathryn Markel Fine Art in New York City. Her monoprints are in the collections of the U.S. Library of Congress, the New York Public Library, Chase Manhattan Bank, and the Reader’s Digest Association. Smelser’s residencies have included the Franz Masereel Center in Kasterlee, Belgium; ARTica in Bilbao, Spain; Skopelos Foundation for the Arts in Skopelos, Greece; Ballinglen Arts Foundation in Ballycastle, Ireland; Jentel Artists Residency in Banner, Wyoming; Kala Art Institute in Berkeley, California; and Vermont Studio Center in Johnson, Vermont. Wendy Woith, associate professor—Woith’s international research on tuberculosis is in an area that the World Health Organization has identified as a top priority because of the vast number of people affected. Woith is also known for her collaborative research efforts in a variety of health-related areas where she brings deep knowledge of health behavior, social and cultural factors, qualitative and quantitative design and methods, and resource development. Woith has made a substantial impact through peer-reviewed publications and presentations, and has been cited extensively by other researchers. She has made a strong effort to include undergraduate and graduate students in her research, co-authoring 16 publications and presentations with her students.